It´s been a hot weekend here with the thermometer showing 30+ degrees or more Celsius. Too hot to even eat. Drink, drink, drink, but eventually the stomach is asking for more. Cucumber with its 90% water content is a great source of hydration for a thirsty body. 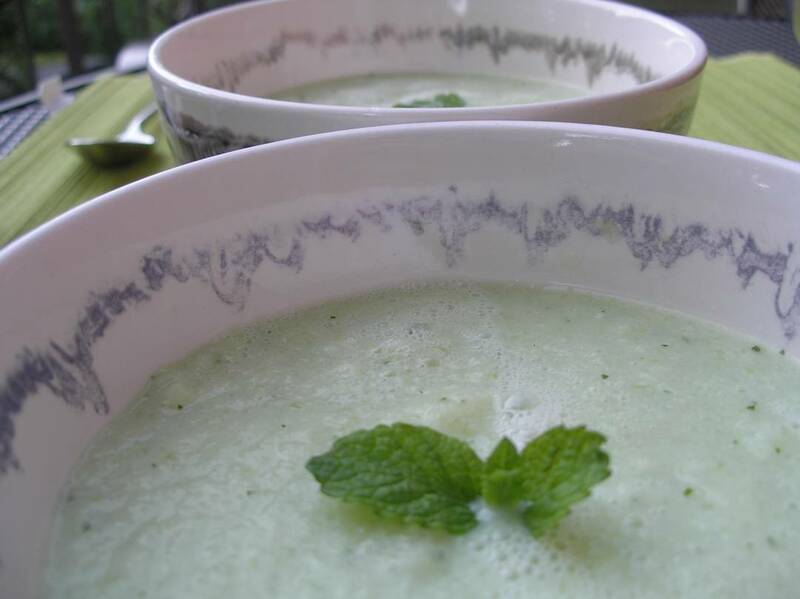 Often eaten cold the cucumber is the main ingredient for refreshing salads and cold soups. In Estonia typical hot summer food is boiled early potatoes with dill and butter and cucumber salad with dill and sour cream. If this is not enough, some BBQ from a huge choice of ready marinated meat or endless line of sausages on offer is made quickly. Cucumbers cut into thin slices, add salt, chopped dill and some sour cream. Mix and taste. some black pepper and thinly chopped dill. Mix well and leave to marinate for min 30 minutes or overnight. Peel the cucumbers, cut out the seeds, cut into slices. Add the vinegar, salt, peppermint, yoghurt and purée with a mixer or blender. Taste for salt. Season more if necessary. Leave in the fridge to ensure the soup is refreshingly cold before serving. A delicious cucumber soup was served at Neumarkt restaurant in Zurich, my current top favourite restaurant in the old town, with a great summer garden, very fast and professional service and most importantly very good local seasonal food.